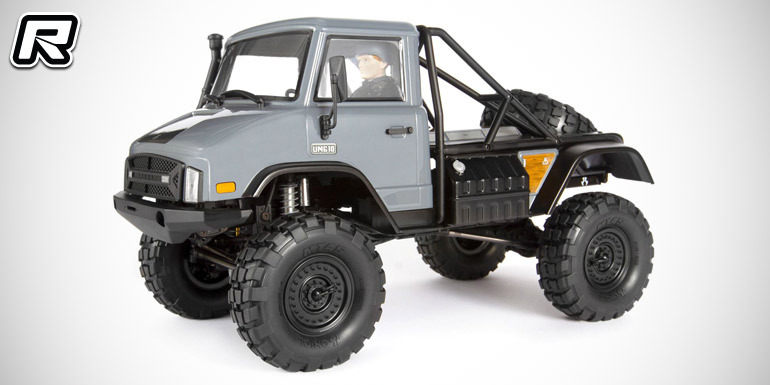 Horizon Hobby have announced the release of the new Axial SCX10 II UMG10 4WD rock crawler kit sporting an Unimog-style body shell. 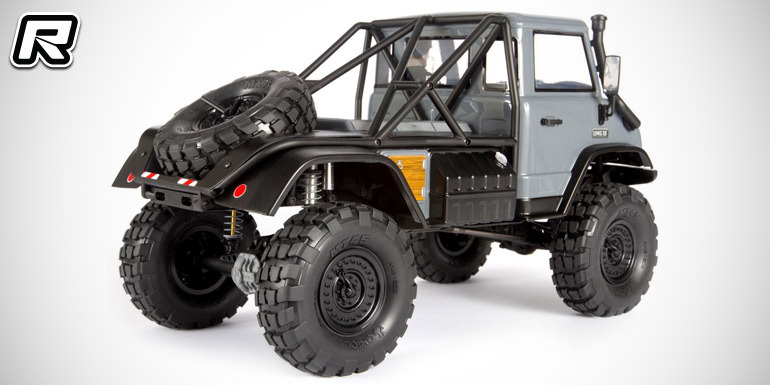 Axial recreates the forward cab look in a body with many military-inspired scale features. 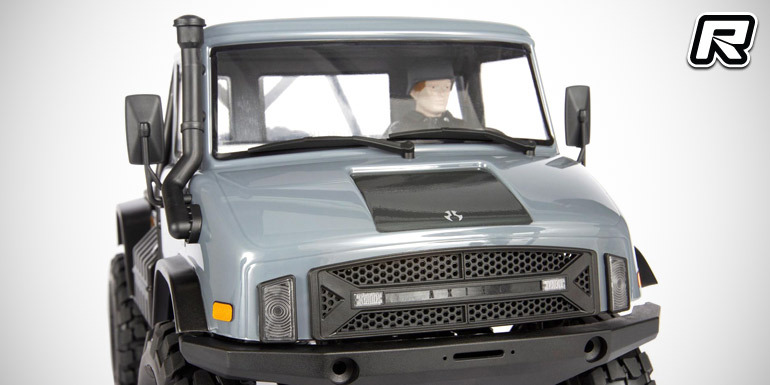 It has a full-scale truck’s aggressive approach and departure angles. Also included are military-style 1.9 MW19 beadlock wheels and 1.9 MT45 tyres, as well as a functional spare tyre. 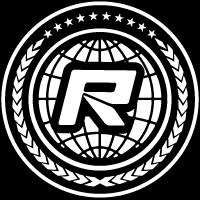 The kit’s off-road performance more than does justice to the vehicles that provide its all-terrain inspiration. Its tried-and-true SCX10 transmission combines scale looks with the durability of all-metal internal gears. A full set of ball bearings is included. A 2-speed gear set is available separately, for builders who’d like to install a functional low/high speed transmission. 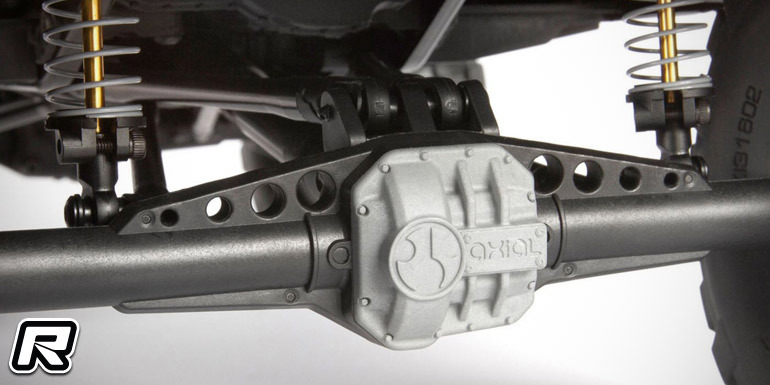 Along with adding scale realism, the AR44 single-piece axles feature a high-pinion design with a much lower gear ratio than most cars on the market, plus increased strength. 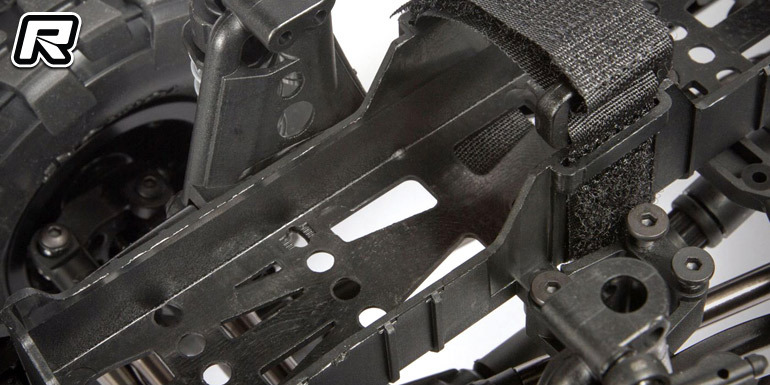 It also avoids the torque twist often associated with smaller gear sets. 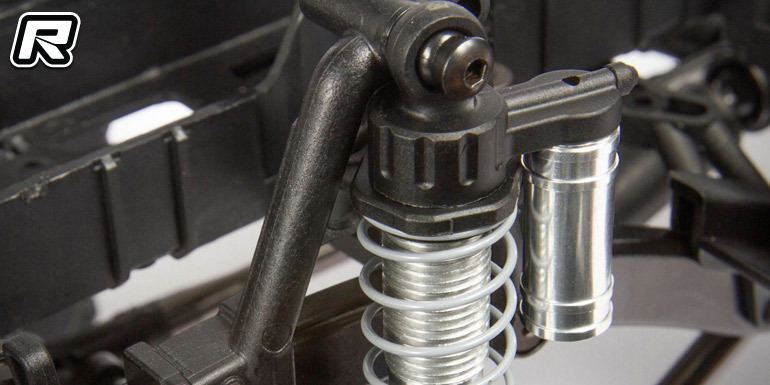 And like the transmission and axle designs, the kit’s chassis-mounted steering servo boosts its scale looks — while at the same time, supplying the correct steering geometry with virtually no bump steer.